Looking for a zero-smudge product that’s long-lasting and waterproof ? Ecuri Permanent Eyeliner is a must for you. The effect makes a real difference if you’ve got sparse or no eyelashes, if you have difficulty applying eyeliner; or if you just feel you’ve lost the intensity of your eyes because of the aging process. It’s also ideal if you suffer with allergies to pollen or conventional eye make-up and if you struggle with contact lens sensitivities. 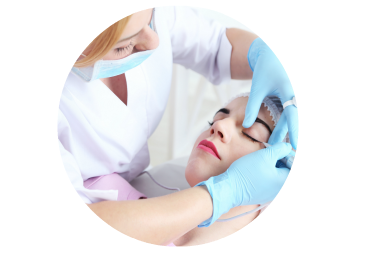 Permanent eyeliner is gentle, long lasting, and permanent lips are soft and full. The results are so natural you have to see it to believe it.